The New Bi-AngleTree - TreeWorks Chimes 6", 9" & 12" V shaped High Carbon Steel Sound Effects Hand-bent in Nashville, Tennessee. Extremely hard, high-carbon steel for brilliant shimmering response. Graduated diameter. 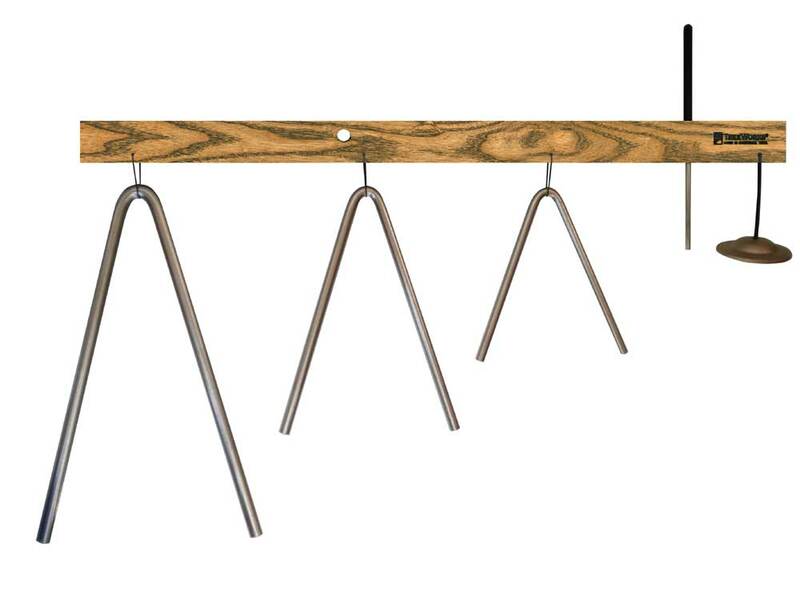 Each larger Bi-Angle is made from a larger size bar to get the best possible tone. Tempering at 500 degrees for a full spectrum of sound. Ultra thin zinc surface does not adversely affect the natural sound of the alloy.